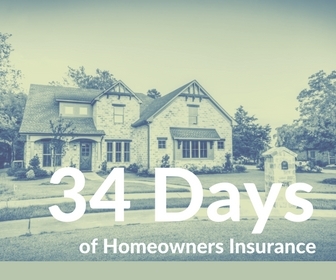 Day 002 | Does My Homeowners Insurance Cover Earthquake Damage? September 3, 2016 – It was a typical Saturday morning. The sun was shining. I was drinking my morning coffee. Then the house started shaking. 300+ miles away, Pawnee, Oklahoma was hit with an earthquake measuring 5.8. Fortunately, the quake didn’t do any damage around Northwest Missouri. If it would have, would my homeowners insurance cover earthquake damage? Earthquake coverage is not included in your homeowners insurance. You must add it to your policy. Generally it’s inexpensive. One thing to note, if you have earthquake coverage, the deductible will be different. You will have the option of choosing a 5%, 10%, 15% deductible. That will be 5% of what you insure your home for. It won’t be the same $1,000 deductible if you experience a hail storm. Remember, you have to add the earthquake endorsement if you want coverage…it doesn’t come automatic.